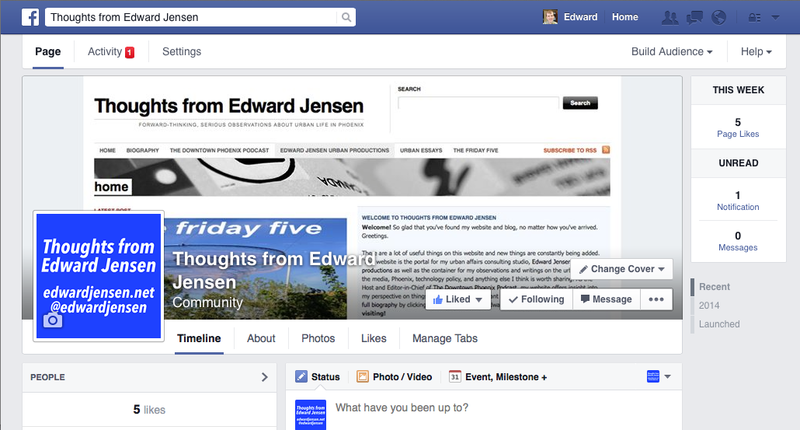 Please join us on Facebook for the new “Thoughts from Edward Jensen” Facebook page. I’ve created a Facebook page for this blog. There isn’t a vanity URL for it (yet) but you can click on the link below or the image to like it. That will be the place to get updates from this blog and other things that might be worthy of discussion.